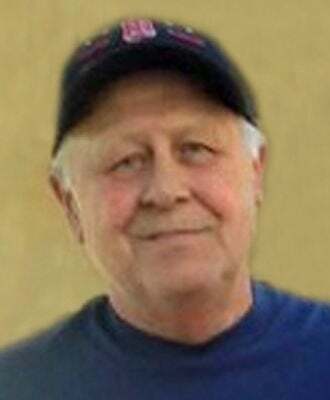 Wayne Allen Sailer, Sr., 66, Mandan, passed away Feb. 8, 2019, at CHI St. Alexius Health, Bismarck, after a short, but fierce and courageous battle with cancer. A prayer service followed by visitation with family will be held from 2 to 5 p.m. on Saturday, Feb. 16, at Bismarck Funeral Home, 3723 Lockport St., Bismarck. Wayne was born May 23, 1952, the son of William and Elizabeth Sailer, in Hazen. He grew up in Dodge and has fond memories of helping work his uncle's nearby farm. He graduated from Dodge High School and attended Minot State College. He had his only son, Wayne Allen Jr. (Sonny), in 1971. Wayne went on to work at Eiseman Mobile Homes for a number of years in various locations in North Dakota and South Dakota. While living in Bismarck, he met the love of his life, Betty Jane "BJ" Raile, who he married in 1977. Together, they moved to Mandan where they had two daughters, Heather and Holly. Wayne and BJ owned and operated many community businesses over the years. B & W Grocery, Capital Sportscards, Wayne's Mobile Home Service, and his general contractor work were all proud achievements. Wayne truly enjoyed helping people and he could visit and laugh with anybody. He also had many hobbies he enjoyed. Wayne loved gardening, fishing, reading western books, watching Twins baseball and Vikings football, and of course taking trips to Deadwood, S.D. Wayne is survived by his wife of 41 years, Betty Jane (BJ); his son, Wayne Jr. “Sonny” (Christi) Sailer; his daughters, Heather (Jon) Austin, Holly Sailer (Tommy McMahon); his sister, Sharon (Ray) Huber; his three grandsons, Tristen, Jaden, and Jayce; his grandpuppy, Remi; and many nieces and nephews; and of course numerous in-laws and friends. He will be dearly missed and fondly remembered. Wayne was preceded in death by his parents, William and Elizabeth.